Modern athletic apparel incorporates some fairly high technology—usually in the form of sophisticated fabrics engineered to keep the body warm in the cold, cool in the heat, and dry year around. But one feature of sportswear—the zipper—has remained virtually the same for more than a century. That may change. 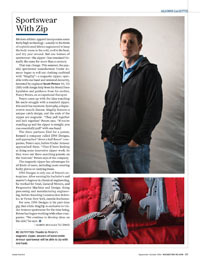 This summer, the popular sportswear manufacturer Under Armour began to roll out clothing outfitted with “MagZip”—a magnetic zipper, operable with one hand and minimal dexterity, invented by engineer Scott Peters ’01, ’02 (MS) with design help from his friend Dave Lyndaker and guidance from his mother, Nancy Peters, an occupational therapist. Peters came up with the idea watching his uncle struggle with a standard zipper. His uncle has myotonic dystrophy, a degenerative muscle disease. MagZip features a unique catch design, and the ends of the zipper are magnetic. “They pull together and lock together,” Peters says. “If you’re standing up and the zipper is straight, you can essentially pull” with one hand. 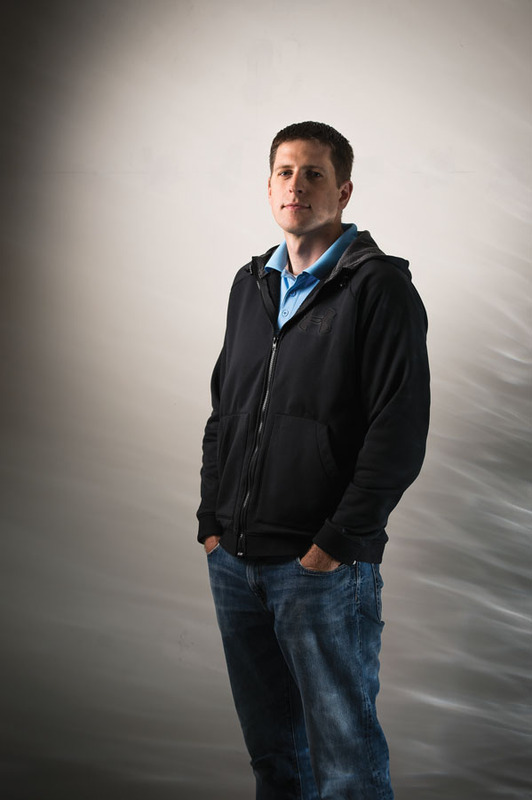 The three partners filed for a patent, formed a company called DNS Designs, and approached “about a half dozen” companies, Peters says, before Under Armour approached them. “They’d been looking at doing some innovative zipper work. So they were out there searching patents on the Internet,” Peters says of the company. 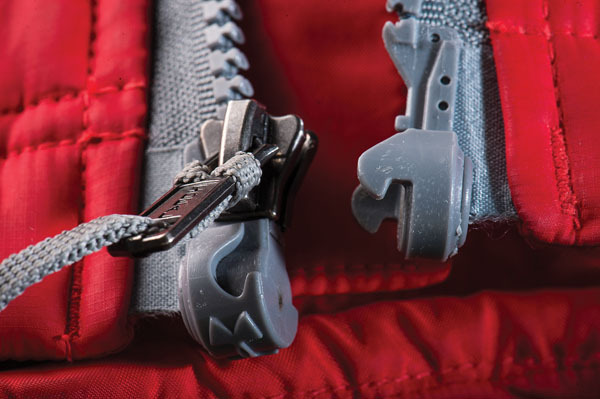 The magnetic zipper has advantages for all kinds of users, including users wearing bulky gloves or carrying items. hile MagZip is exclusive to Under Armour sportswear for the time being, Peters has begun working with other companies. “We continue to develop ideas on the side,” he says.